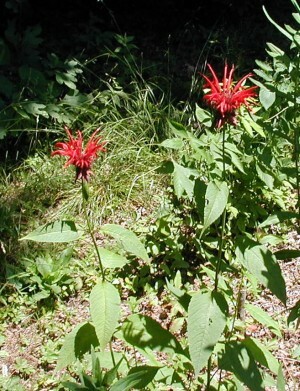 The bright red blooms of Bee Balm, Monarda didyma, also known as Oswego Tea, can be seen from a distance. The red color is truly a bright red – it surely attracts hummingbirds and butterflies. Bee balm or Oswego tea in bloom. Several irregularly-shaped, tubular flowers open at a time. 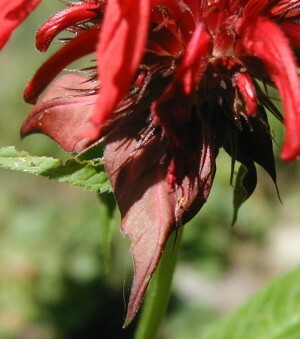 The bracts just below the rounded head of flowers are also red, but more on the maroon side of red. A friend found a few plants growing near the Juniata River and gave us a couple for our native plant gardens. To match it’s native habitat I’ll be transplanting ours along the lane near the spring that runs after a good rain. Once they’re established I’d like to harvest the leaves to try the tea. 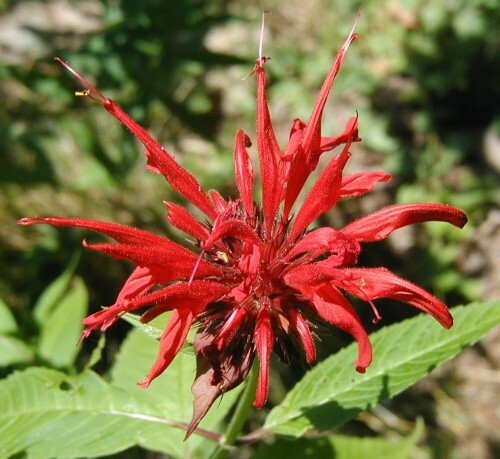 Does anyone here use bee balm as oswego tea?